With Tim Kaine, does Clinton become the "urbanism candidate?" - Archpaper.com With Tim Kaine, does Clinton become the "urbanism candidate?" Presumptive Democratic nominee for President Hillary Clinton’s running mate, Virginia Senator Tim Kaine, has been widely described as a “boring” choice in the media. And even though the presumptive nominee herself remarked to the New York Times, “I love that about him,” when asked about her excitement-challenged running mate, for advocates of fair housing reform and, by extension, urbanists, Kaine’s selection is due to generate a bit of interest on the campaign trail. Does Clinton’s selection make her the “urbanism candidate” of 2016? Signs in Kaine’s history point to yes and after the Republican party released a starkly anti-urban party platform last week, his selection could not come at a better time. Kaine was also at the helm of a landmark 1996 case involving the Nationwide Mutual Insurance Company’s systematic and intentionally discriminatory insurance practices in urban neighborhoods, winning a record $100 million settlement that, after appeal and lengthy delays, was finally settled for $17.5 million in 2000. Kaine’s addition to the Democratic ticket begs the question, will having a fair-housing advocate on the ballot herald a new emphasis on urban issues? For a campaign so far dominated by abstract discussions of income inequality and “law and order,” as well as efforts to undermine institutionalized anti-blackness, political discussions thus far have conspicuously excluded nuts and bolts approaches to addressing urban poverty like increasing the supply of affordable housing, expanding public transportation infrastructure, and rectifying the deeply troubling historical legacies resulting from racist urban planning and real estate ideologies of the 20th century. The Republican platform also takes issue with the new United States Department of Housing and Urban Development (HUD) plan to increase access to access to Section 8 housing vouchers in middle- and upper-income neighborhoods. The so-called “Affirmatively Further Fair Housing” (AFFH) program aims to institutionalize research conducted by Harvard economist Raj Chetty, who argues extricating children from impoverished neighborhoods early on in life increases their earning potential and life prospects exponentially as adults. The program offers families who qualify for Section 8 vouchers increased funding to move into more economically successful neighborhoods. Coupled with a new mandate by HUD that considers denial of housing on the basis of a criminal record an unfair practice, HUD’s latest initiatives under Secretary Julian Castro have have placed key urban issues like access to affordable housing and an emphasis on de-segregation at the center of the country’s ongoing anti-blackness debate. 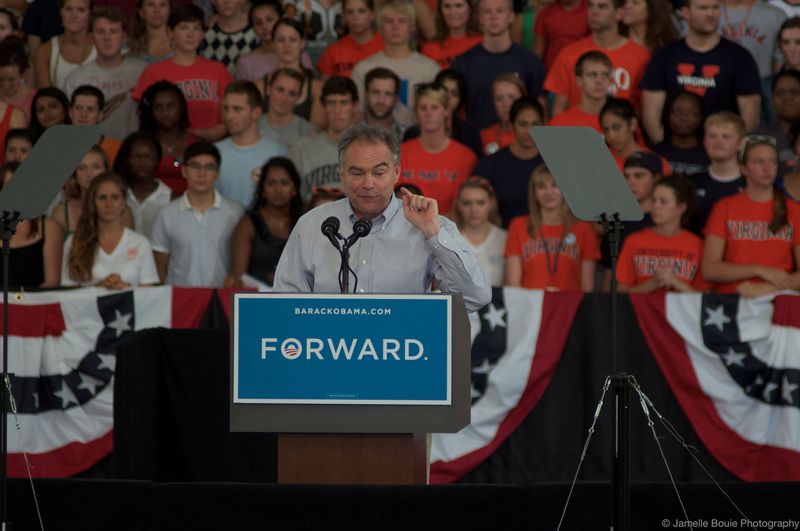 Kaine’s impact on the campaign’s discourse was apparent at the ticket’s first joint rally on Saturday, where Clinton lauded Kaine’s record at the expense of their opponent, stating, “While Tim was taking on housing discrimination and homelessness, Donald Trump was denying apartments to people who were African American,” citing a 1973 housing discrimination suit brought against Trump by the United States Department of Justice. We will have to wait and see if this approach yields a greater emphasis on other urban issues as the campaign heads towards Election Day.